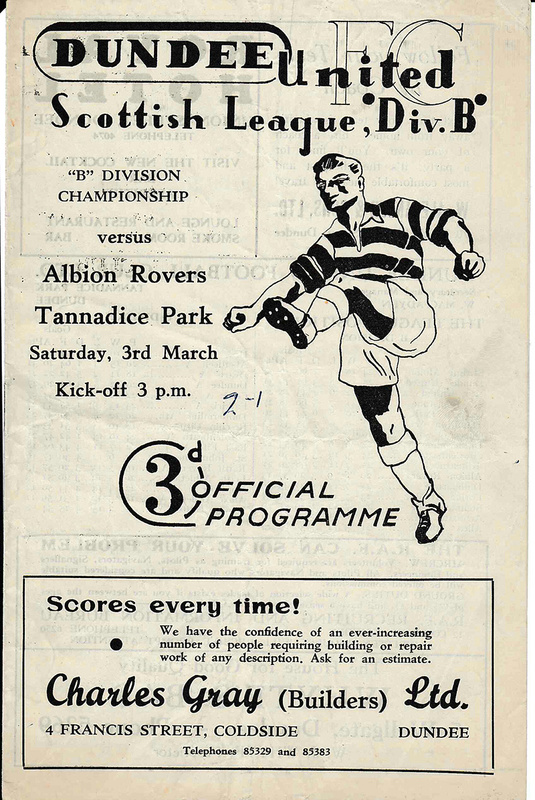 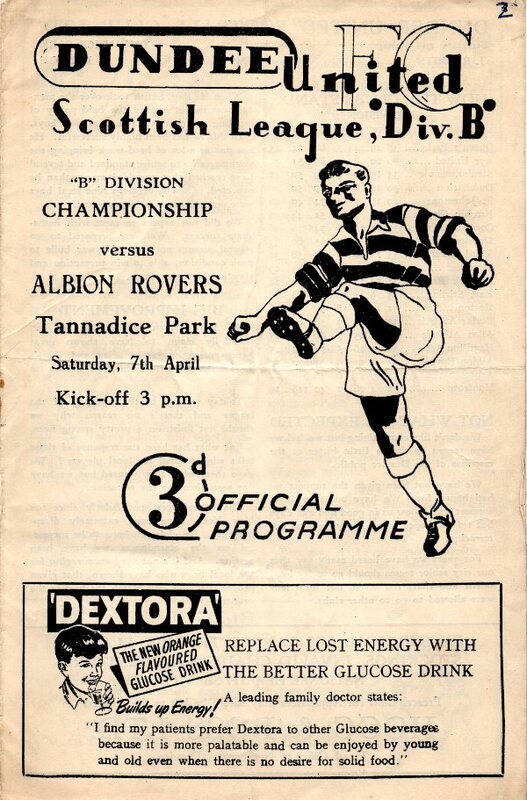 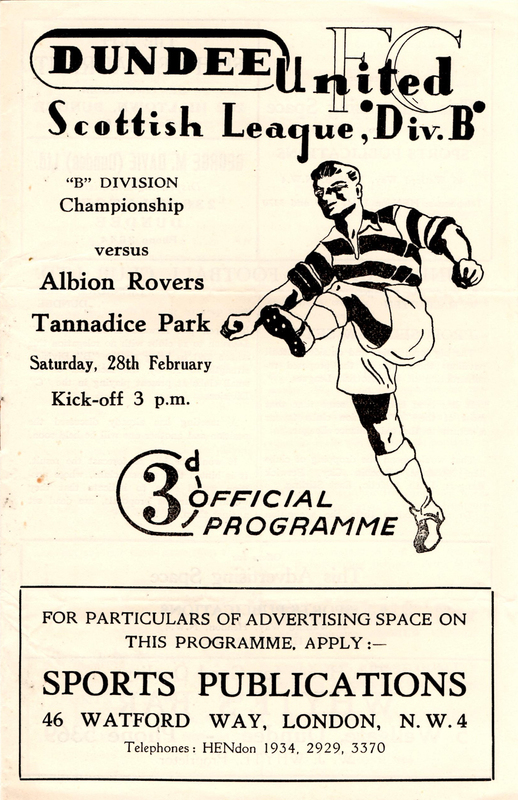 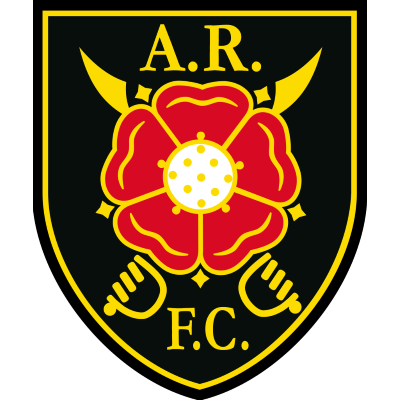 Albion Rovers were formed in 1882 after a merger between the two Coatbridge sides Albion FC and Rovers FC. 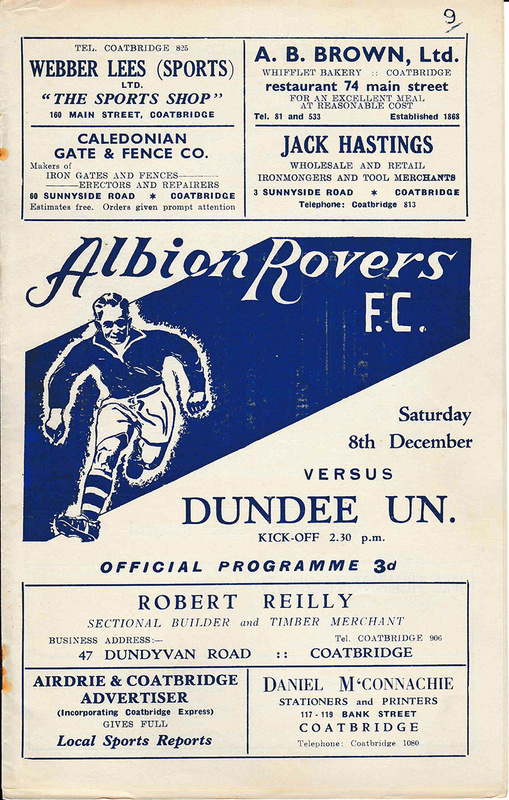 The new club joined the Scottish Football League Second Division in 1903 and they first met Dundee Hibs in Division Two in 1910 when the Hibs joined the Scottish League. 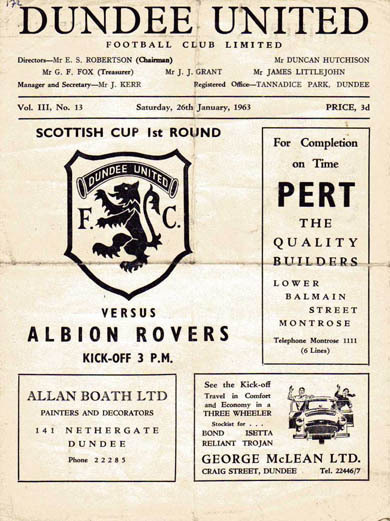 When Dundee Hibs reached their first national Cup final in 1913, they faced Albion Rovers at Tynecastle Park in the Qualifying Cup final. 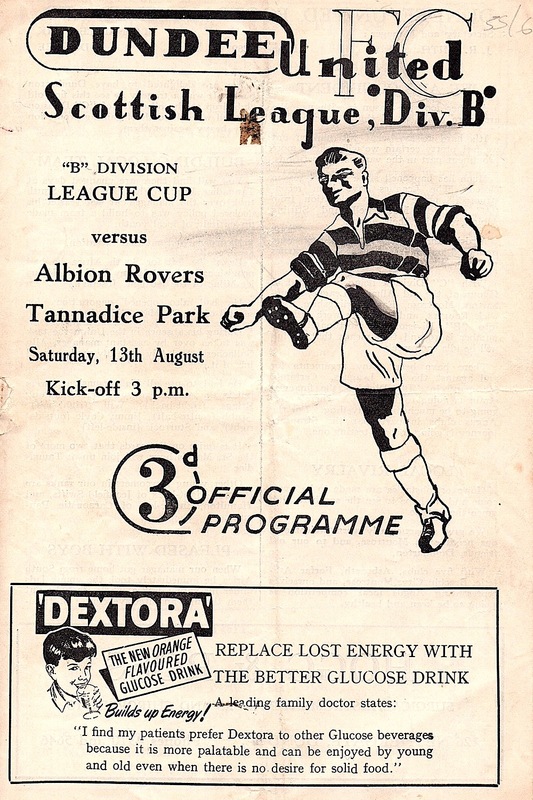 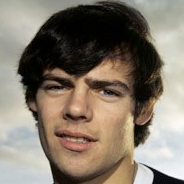 After two 1-1 draws, the Coatbridge side eventually won the trophy with a 3-0 win in the 2nd replay. 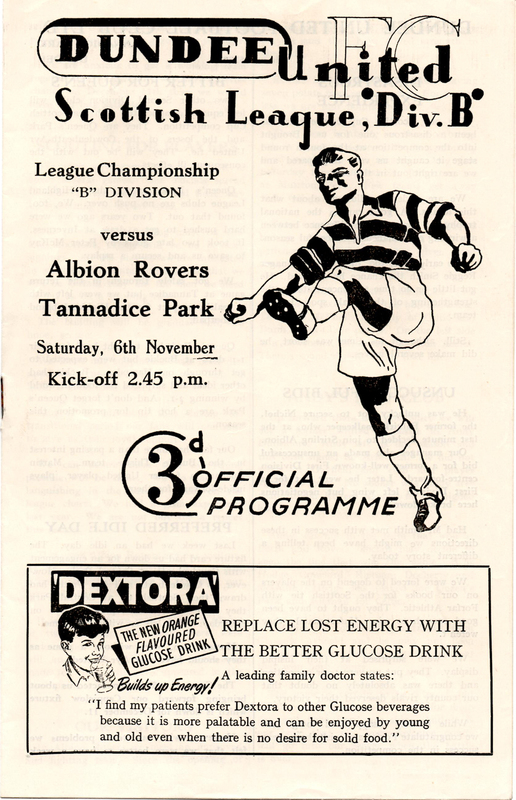 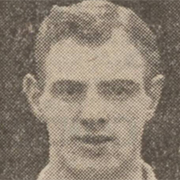 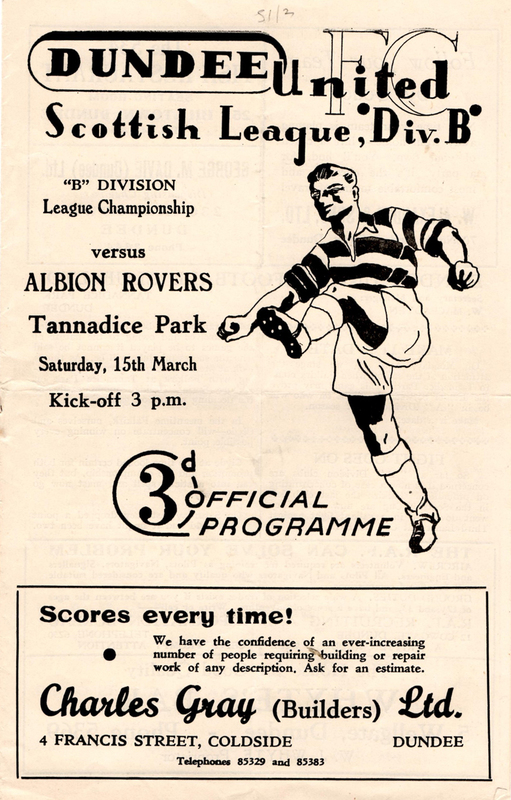 Regular opponents until the out break of the First World War, both clubs fought to win back their League placing after the war ended, with Rovers returning to League action in 1919. 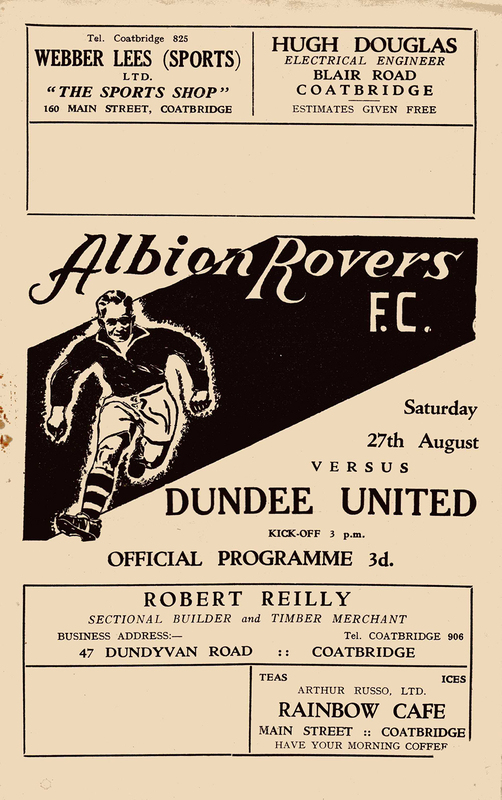 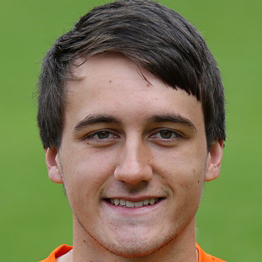 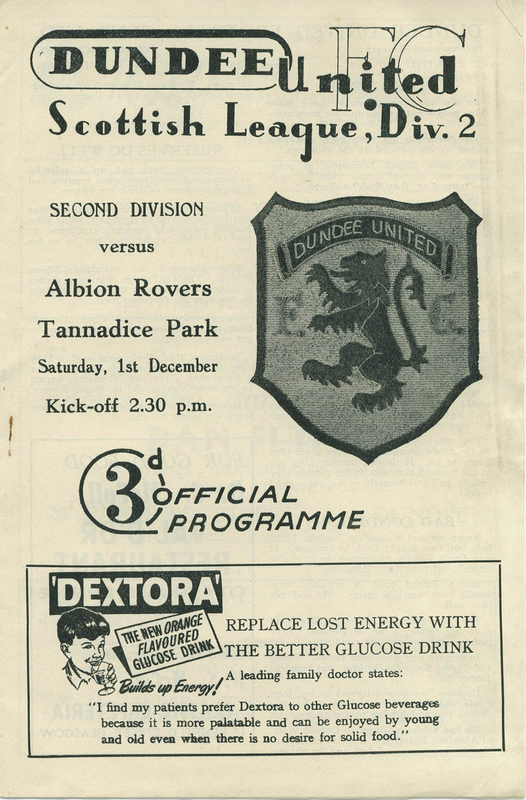 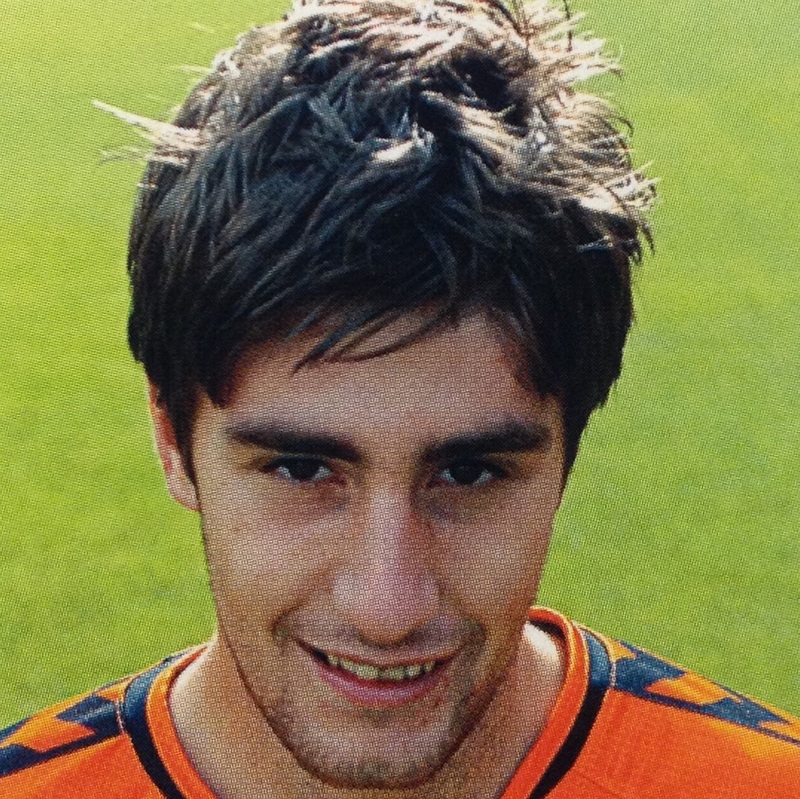 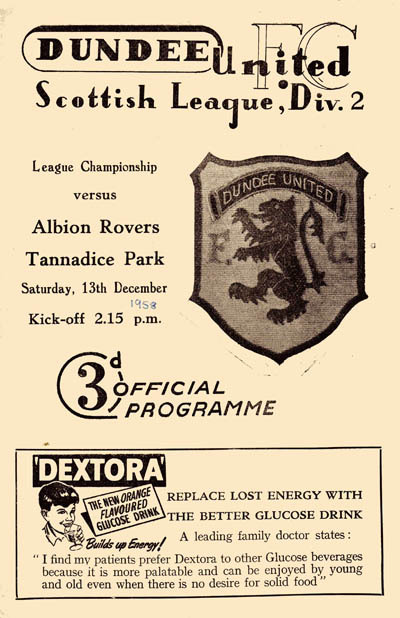 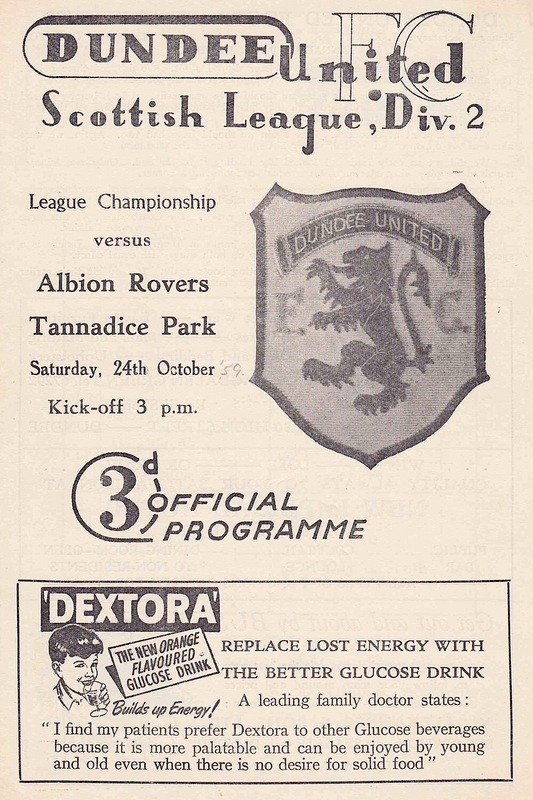 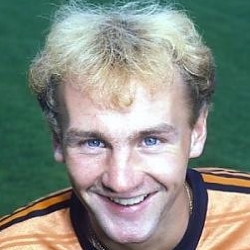 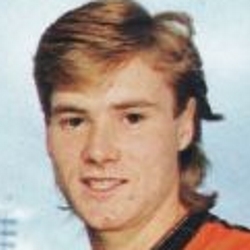 Eventually the clubs renewed their rivalry in 1923, when the Rovers were relegated to Division Two and with the Hibs now playing as Dundee United. 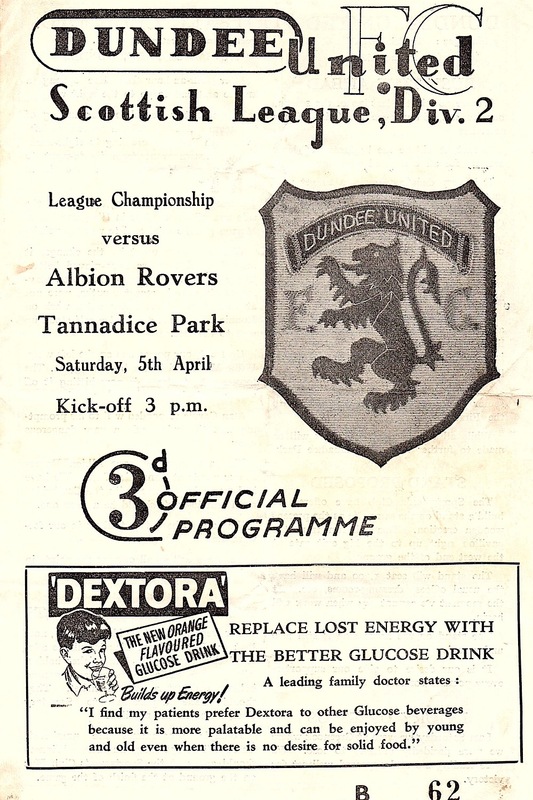 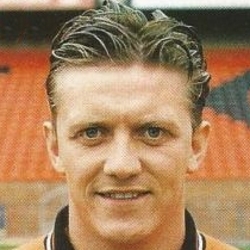 The clubs met regularly on League duty right through until 1960 when United won promotion to the top flight, and the clubs have only met in the Cup competitions twice since then.